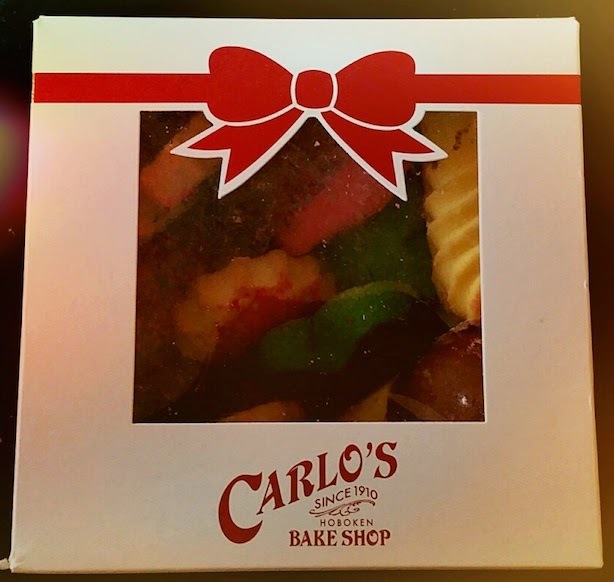 If you’re a fan of any TV show that involves cake then you’re bound to have come across Carlo’s Bake Shop on the popular TV show Cake Boss. 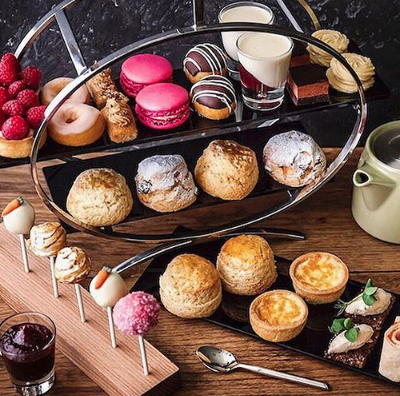 On a recent trip to Las Vegas we were lucky enough to sample some of the sweet treats this famous bakery has to offer. 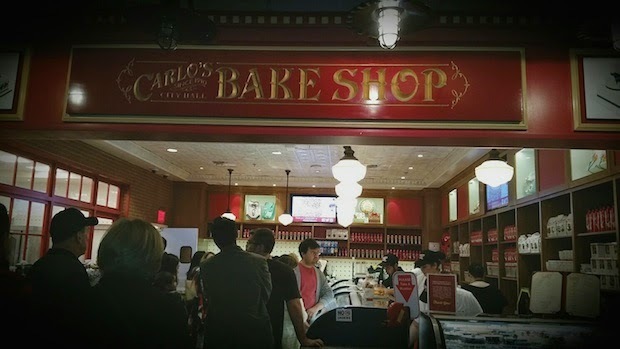 Carlo's Bake Shop, Las Vegas. Yeah we won’t lie, we got in to a bit of a daily routine of stopping by the shop for a morning croissant and latte – the novelty certainly didn’t wear off! But the main attractions that caught our eye were the wonderful biscuit miniatures - presented in a cute Carlos Bake Shop box. This bite size box was perfect for taking home to share … or eating in the hotel and then rushing back to buy some more for friends back in good old Blighty. 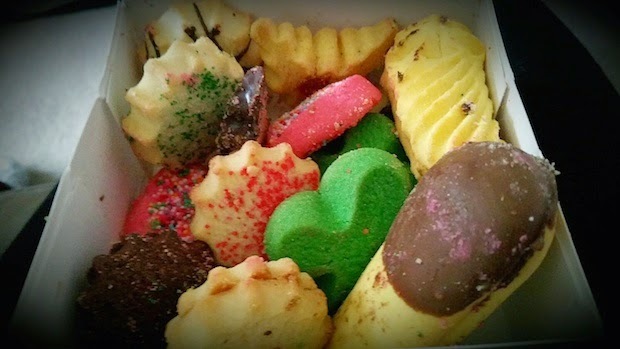 The biscuits come in all shapes and sizes with pink and green sprinkles, jam and chocolate flavours alternating through each one. Apologies for the post-US Airways-battering, evident in the photo. That’s either the airline’s fault for poor transportation or ours for failing to take a decent photo before munching on the first batch – we’ll take the fall for this one. The taste? As you would expect from one of the US’s favourite bakers: buttery perfection.